No, you’re not dreaming. 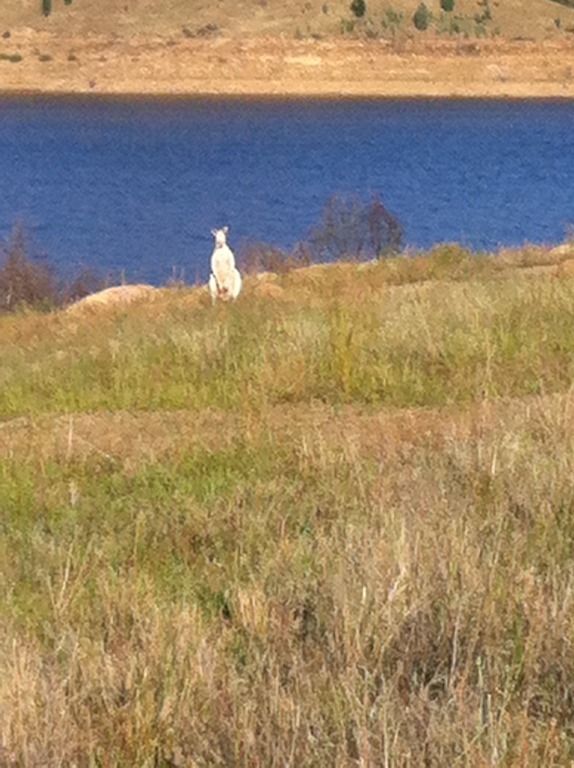 This is a white kangaroo taken by a friend of mine on a voyage across Australia. This is real. This could be what the thousands of Australians might see when they hook on their caravan and take off to see Australia. What weird experiences are out there waiting for them. We are living on the Sturt Highway which starts from Wagga and ends up in Adelaide. Every day I see with my own eyes huge numbers of caravans embarking, crossing or returning on a journey to explore Australia. What better thing can anyone think of to do, I say. Most of them are grey nomads, that is, retired – but they reckon there is still so much to see and these guys want to keep on doing it. The phenomenon that is the Grey Nomad. Just to put the numbers in perspective, the Campervan and Motor home Club has over 66,000 members. I realise that not all of these are grey nomads but….. I have discovered there are two categories of the ‘older travellers’. You can’t put them all in the same box. There are grey nomads and there are the geriatric gypsies, the latter claiming that the difference is that they get off the roads and out of the caravan parks into the real bush. And now there’s a third group. The volunteers for BlazeAid. These are retirees, mostly who go to an area that has been wiped out by flood or bushfire and set up camp and help farmers restore their fences. It is a wonderful thing. More than that, they can go a long way to rebuild a community’s confidence. These oldies are very techno savvy- very up to date with IT. They connect on facebook. (And they recognise the value and convenience of ebooks – I think a lot of them read romance too – just thought I’d wack that in) ….And they are not all travelling around on superannuation money. 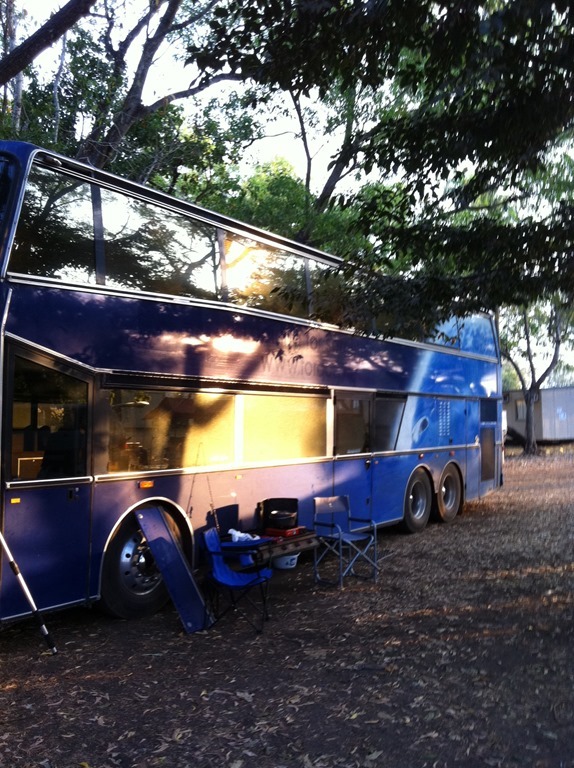 Some will work for just accommodation and meals, house sit, or farm sit, which is a great way for them to meet locals – and provides a variation on seeing the same group night after night at the next camp site. And you don’t have to be a couple – I’ve met quite a few single women who enjoy getting on the road and travelling west, or north or south. There are also many classes on the grade of accommodation you can take with you but I have never seen one better than this. Look at this. It has two bedrooms upstairs – doubles – and a jumbo shower and toilet half way up the stairwell everything you could possibly want, its own generator. Me, I’m out looking for a koala. they are supposed to be around here somewhere. I won’t be happy until I’ve seen a real koala, blinking at me, sitting in a gum tree. You can dream, can’t you? This entry was posted in Uncategorized and tagged grey nomads. e books. Bookmark the permalink.